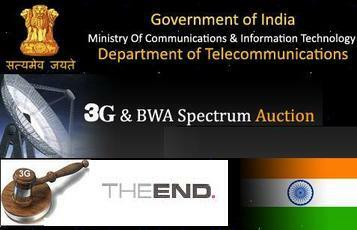 Long waited India’s 1st 3G spectrum auction is over! Starting on 9 April it took 34 days. Govt-owned BSNL and MTNL are already offering 3G services over country. Now private operators also get licenses to offer high speed 3G services. Indian Government earned Rs 67,700 crore, double than they expected to get by selling 3G airwaves.Most important thing not a single operator did win pan-India 3G license, which may lead to network sharing over circles to circles. But it is uncertain that dual technology operator Reliance and Tata will join such sharing or not.Airtel & Vodafone mostly come to as partner, and Idea may join them via their joint venture of tower sharing i.e. Indus Towers. But even of this partnership between three operators can’t cover all circles with 3G connectivity – the trio will miss Orissa.Airtel’s wining of 3G license is quite unimpressive, they won license in Mumbai but not in Maharastra Goa, won license for West Bengal but not in Kolkata, where Airtel has 2nd largest operator. But they get to cover Delhi and UP West. 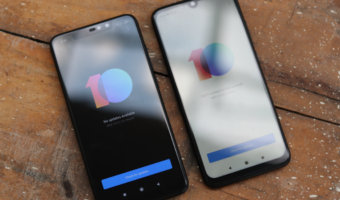 Vodafone won licenses in those circles where Vodafone has good presence, like Kolkata, West Bengal, or those circles generating high revenue like Delhi, Mumbai, Maharastra or Tamilnadu. Just added as a note, Airtel and Vodafone the sole official iPhone sellers in India can not cover whole India with 3G connectivity. The costliest Delhi and Mumbai circles, where MTNL is already present, Airtel, Vodafone and Reliance will compete against MTNL in both circles. MTNL for just 2 circles will pay a high price. Kolkata being a metro was bid cheaper than expected, compared to other metros. All operators – Reliance, Aircel and Vodafone who get license for Kolkata won license for West Bengal also. Only Airtel is to miss Kolkata, though it will be present in rest of Bengal. 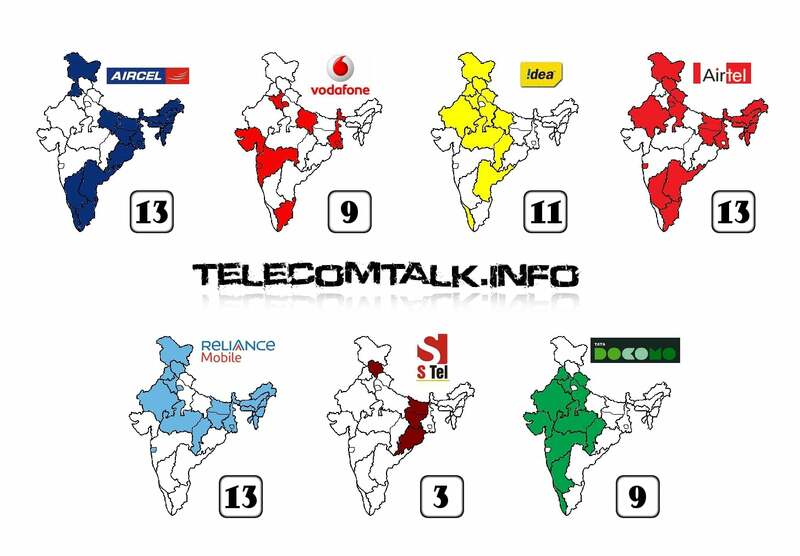 From the table below it is sure that Aircel has eaten the cake, Aircel won licenses on complete south India, eastern India and neighboring UP east. Geographically Aircel is to cover a large continuous area. But Aircel did not won a single license in western India. In southern states of India, Aircel has a good network and good subscribe base, they are to serve better in south India. 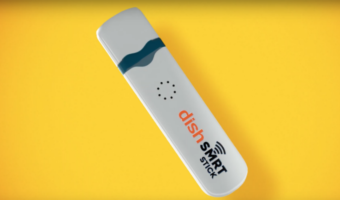 Roaming through Uttar Pradesh is going to be a problem, as Uttar Pradesh is divided into 2 parts – UP East and UP West, while they have no such geographical border, only Idea managed to offer seamless 3G offering in whole UP. It should be noted that UP West circle was bided highest as a category B circle. Eastern states of India is covered completely again by Reliance Communications, where Reliance GSM is present for a long time under a brand name of SMART GSM SERVICE. Reliance manages to bag license in category C circles as Reliance generates revenue offering cheap tariffs. Idea won license mostly in northern zone – they are to cover whole north India except in Delhi. Idea 3G will also be present in Gujarat and Maharastra. 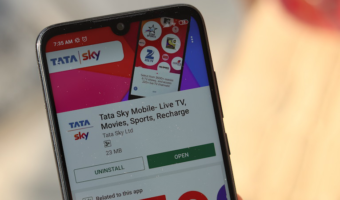 Tata Tele’s GSM service Tata Docomo which is already successful in creating a wave in telecom market has bagged 3G licences in 9 circles, covering 4 circles of western India out of total 5 circles. Technologically backed by Tata’s TCS and Japan’s Docomo as partner, Tata Docomo is do the new in 3G market. S Tel is presently covers Orissa, Bihar and Jharkhand and Himachal Pradesh with 2G GSM services. And STel won licenses for these ‘C’ circles only. Videocon and Etisalat DB participated in the 3G auction, but did not win a single license, but they may go with Reliance for network sharing, as they are already in agreement of 2G network sharing. TATA DOCOMO should by S Tel. Vodafone despite winning 3G auction in limited circles has more chances of leading in 3G sector coz all their circles are metros, A & B category ones where growth of 3G will be higher than rest of India.